The SMH10 is a Bluetooth 3.0 Stereo Headset with long-range Bluetooth Intercom designed specifically for outdoor sports and activities. With the SMH10, you can call hands-free on your Bluetooth mobile phone, listen to stereo music or voice instructions of GPS navigations by Bluetooth wirelessly, and have intercom conversations in full duplex with your companions. Thanks to the latest Bluetooth and the advanced digital processing technology, the SMH10 offers the best sound quality in its class. The easy-to-access and intuitive button operations make the SMH10 a perfect companion for outdoor sports. Two year warranty and customer support services from SENA on the intercom. The 30K is a state-of-the-art motorcycle and powersports MESH INTERCOM® communication system. The unit provides a sleek and aerodynamic design that offers a versatile jog dial that maximizes the ease of use for users. 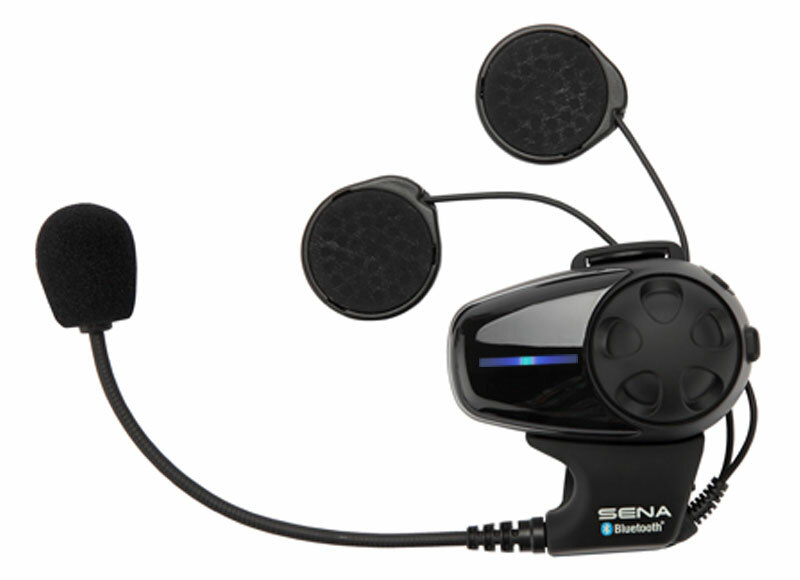 Sena Mesh Intercom® technology is now here and ready to change your ride. Simply press the button on top of the 30K to turn on public mode, and you will be automatically and instantaneously connected to a virtually limitless amount of 30K users within a mile range. 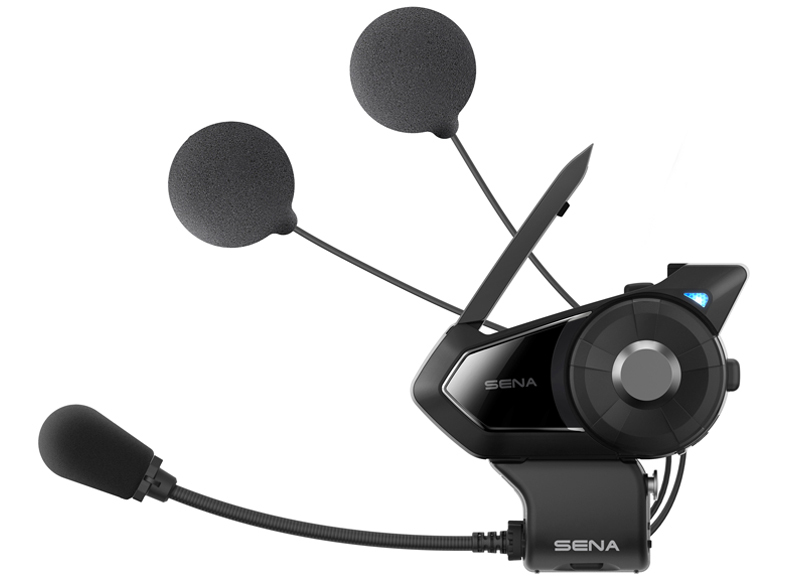 Intercom connections are also now more stable than ever with Sena’s new Mesh Intercom® technology. When one of a group’s riders goes out of range, the rest of the group remains seamlessly connected while the 30K still intelligently searches for the lost connection and reconnects automatically once back in range. No longer will you have to worry about losing half of your group due to a Bluetooth chain linked connection of the past. With private mode you can invite and communicate with up to 16 riders at a range of up to 1.2 miles*, while an endless amount of Guests can join to listen in as well. When riding with 5 or more riders, the Mesh Intercom will intelligently keep the group connected at a range of up to 5 miles* in ideal riding environments. The 30K has a new quick charge feature meaning just 20 minutes of charging gets riders an impressive 5 hours of Bluetooth intercom use, or 3 hours Mesh Intercom® use. With it’s revolutionary dual-antenna, riders may now simultaneously use all of the features of the 30K, such as Mesh Intercom® and Bluetooth intercom. Once you’re on the road, complete control of the 30K can be done through hands-free voice commands. Intuitive technology ensures safe, controlled riding as you seamlessly move through music, phone, and intercom features. ® Registered Trademarks of Sena Technologies, Inc.